Designed with the Beginning Quilter in Mind. Mostly squares and a few rectangles. More experienced quilters may enjoy them too. Just about all quilts call for a scant 1/4 seam allowance. 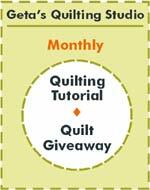 If you learn just one thing about quilting its learn the 1/4 seam, it will be very important once you start getting into more detailed patterns. Wow… you’ve added some more fantastic patterns… we love them ! Thanks so much !! Wonderful patterns! I can’t wait to try one. Thanks for sharing. 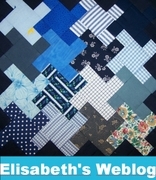 I am wanting to make my first quilt the scrappy squares and bars pattern. I am going to use my son’s baby cloths and blankets! I was wondering in the directions, when it says to cut a square a certain size, is that the actual size that I cut or the size it should be after I sew the seam? And how big of a seam should I use? Love your scrappy flowers and hearts. Great ideas. I am new to this site and I am trying to make your “scrappy maple leaf quilt” but am unsure what your seam allowance for this quilt is.